"From Theory to Reality" is TEDxGuelphU's 7th event that took place on January 23, 2016 at Lakeside Hope House in Downtown Guelph. Anita obtained her Bachelor of Science degree in Biochemistry from the University of Guelph, where she was a President’s Scholar, 3M National Student Fellow, and Millennium Award Laureate. She is currently pursuing a Master of Science in Health Science Education at McMaster University. Anita was highly involved in the University of Guelph community as a writing peer helper, academic support facilitator, and a member of student government. Her research and commentary on modern pedagogical practices, the relevance of the post-secondary education sector, and experiential and skills-based learning have been featured in several peer-reviewed publications and at both national and international conferences on teaching and learning. Lauren is a 4th year Agriculture student at the University of Guelph. She was born and raised on a cash crop operation just outside of Kirkton, Ontario. She has been involved in the world of agriculture her entire life. Growing up she was a part of a youth agriculture program known as 4H. She is currently the President of the Student Federation of the Ontario Agricultural College at the University of Guelph. She loves the world of agriculture, and wants to spread her ideas about it. 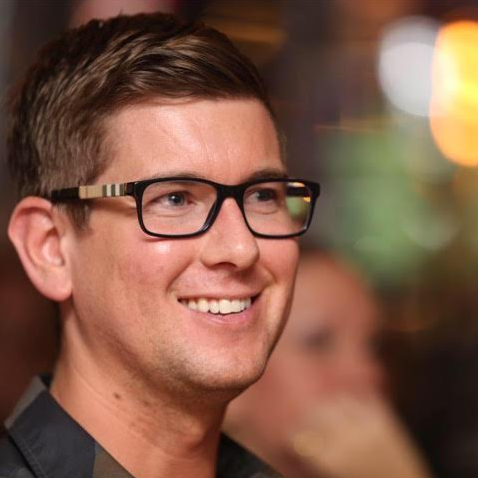 Gavin Armstrong is a PhD candidate at the University of Guelph and a committed impact entrepreneur. He is currently serving as the Founder and President of Lucky Iron Fish™, a social enterprise attempting to alleviate iron deficiency around the world using a simple health innovation. A long term advocate and activist against hunger and malnutrition, Gavin is the first Canadian to receive the William J. Clinton Award for international work against hunger and is the inaugural recipient of the international Michaelle Jean Emergency Hunger Relief Award. He has also helped Lucky Iron Fish win a Cannes Lion Grand Prix award, two Gold Lion Awards, a Gold Cannes Health Award, and a Silver Lion Award. He has also received a Silver Innovation Award from the Edison Foundation. In 2015 Conscious Company Magazine featured Gavin as one of the seventeen 'Rising Social Entrepreneurs' of the year. Kneale Mann’s focus is helping people love being at work; helping them define their success. Looking deeper into human behaviour, he helps entrepreneurs, executives, and members of multi-functional teams work toward greater success, as individuals and organizations. He helps businesses do better business through coaching, workshops, webinars, action learning, and customized solutions. As a passionate leader, he has over three decades of project management, leadership development, business, marketing, media, and talent coaching experience in numerous industries and organizations including; radio, digital marketing, corporate training, real estate, financial services, healthcare and more. Kneale has shared his expertise freely on his blog since 2008, connecting with over 2 million readers in more than 170 countries. Kneale was born in Montreal, grew up in Kitchener, and after stops in Toronto, Ottawa, and Kingston, is a proud resident of Guelph and a member of the Chamber of Commerce. Jenn first joined Wild Ontario in 2006 as a volunteer, and after working her way through the ranks she took the reins and guided the program through a complete overhaul. The result is the Wild Ontario that you see today, a program that would not exist if not for her perseverance and dedication! Wild Ontario is a live-animal, environmental education program based at the University of Guelph in Guelph, Ontario. Their incredible team of staff, volunteers and animal ambassadors travels the province, spreading their love for Ontario's nature and wildlife. They aim to teach, entertain, inspire and motivate. They love what they do, and they know that you'll love it too! There’s no question about it, they are wild about wildlife! The only thing they love more than nature is sharing it with others. They aim to educate, enlighten and entertain. They teach biology, ecology, ornithology, conservation and stewardship in a manner that everyone can understand and appreciate. They believe that learning about nature is fun, and we want you to have fun with us! Joe Richards has spent the last 20 years as a Summer Camp Professional. Since starting to attend summer camp at the age of 3, Joe has made it his life’s mission to change the lives of children & youth. He directs Summer Camps as a living, acts as a leadership trainer, and a keynote speaker. Having worked at numerous summer camps, Joe has the unique perspective to bring to the camping world. His goal summer after summer is to help camps succeed, and stay successful. He has done this through the creation of a different culture as Summer Camps. He is creating a culture of encouragement, a culture of support, and a culture of sharing. He wants to share his theory of an altered culture at camp, to show that it is possible to create a utopia. Also known as Jugglers of the University of Guelph, is the premiere juggling group on campus. They spend numerous hours practicing and perfecting their juggling skills. Often when they master a trick they build and build on it, until it becomes a huge performance piece. These pieces can range in length, the number of people involved, and even the items juggle. JOUG is always happy to welcome any newcomers to the group, and would love to get everyone interested in the spectacle of juggling. Gabrielle Raill has combined her passion for education, as well as her experience as the director of Camp Ouareau, an all girls summer camp, to develop a wide range of educational and developmental programs. Gabrielle has consulted with several organizations such as The International Camping Fellowship, Concordia University, and NASA, providing expertise on creating positive community dynamics, geared toward setting up frameworks that support creative learning and diverse thinking. Since completing her B.A. in Human Relations at Concordia University, Gabrielle has become a world traveller, sharing these values and programs with an internationally diverse audience.She also has a mild obsession with dinosaurs, cause, you know, dinosaurs are really cool.